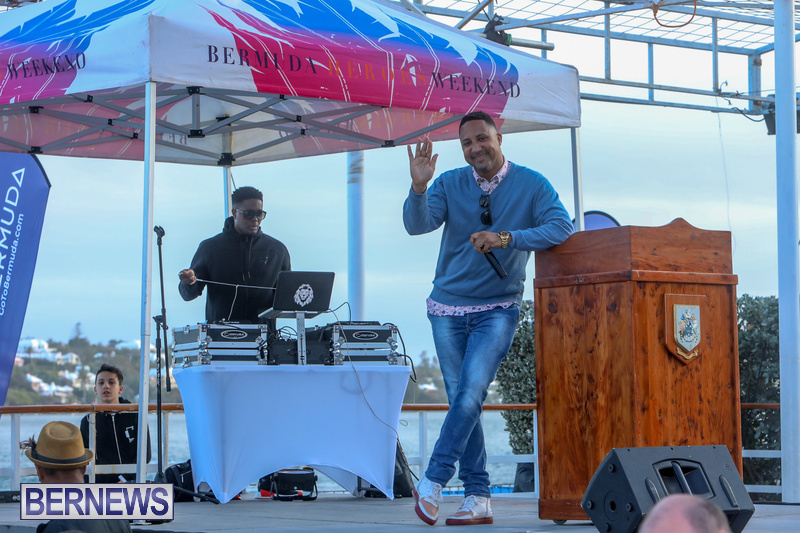 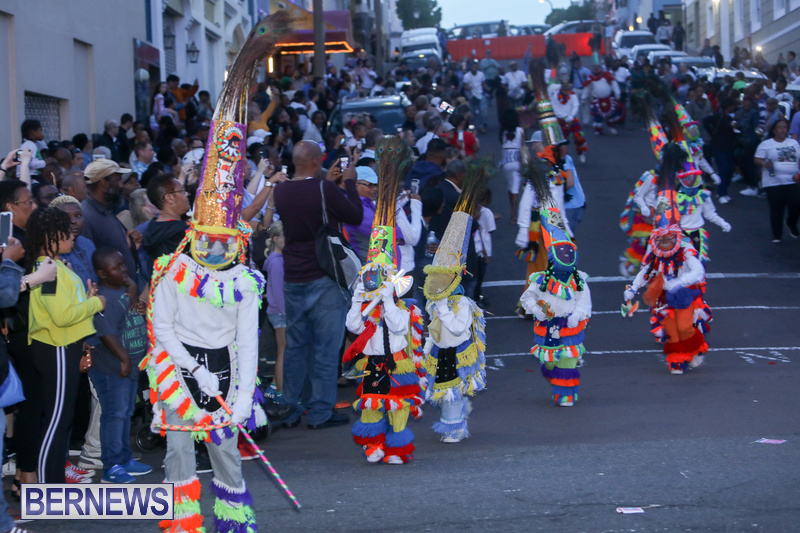 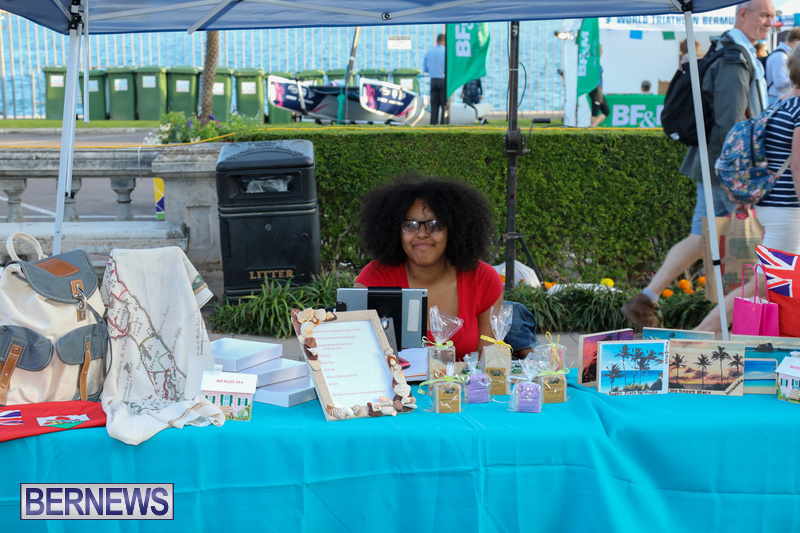 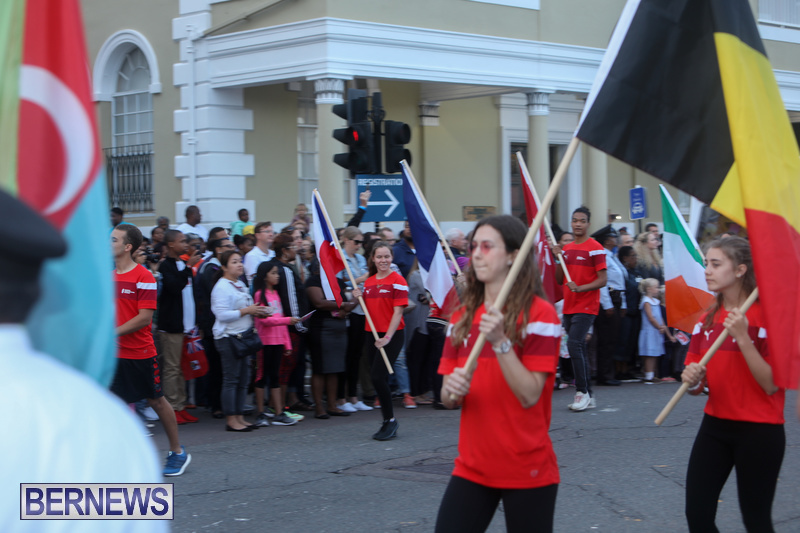 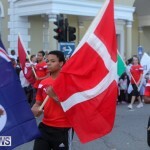 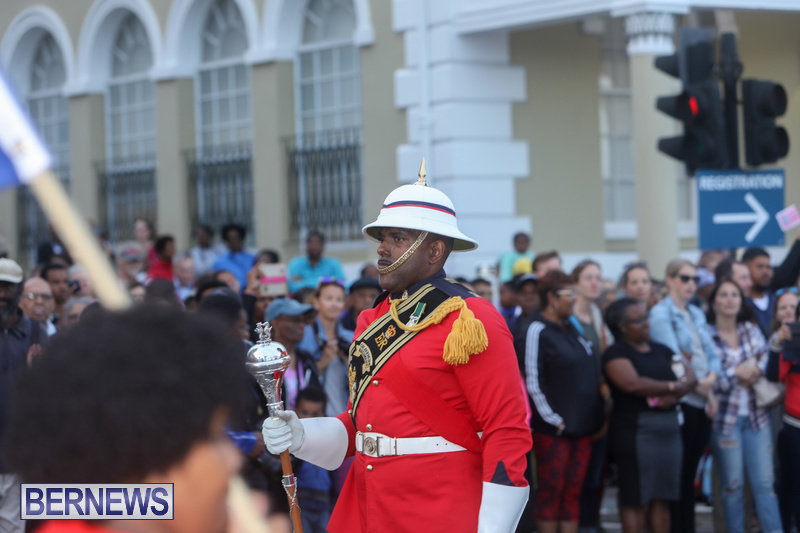 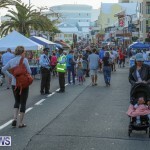 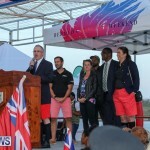 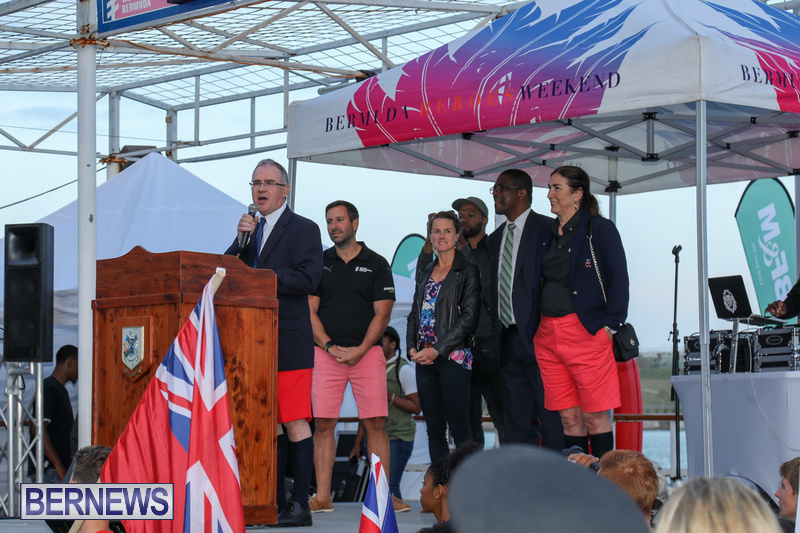 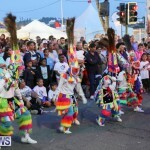 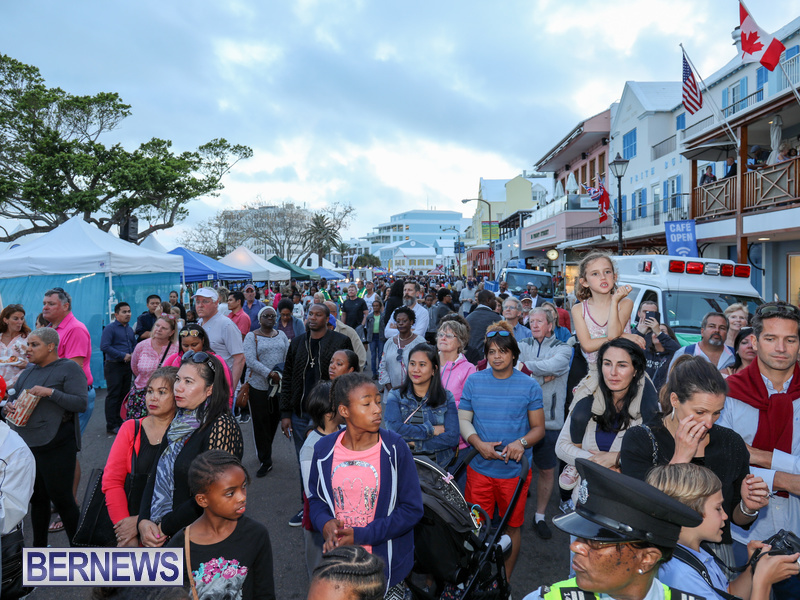 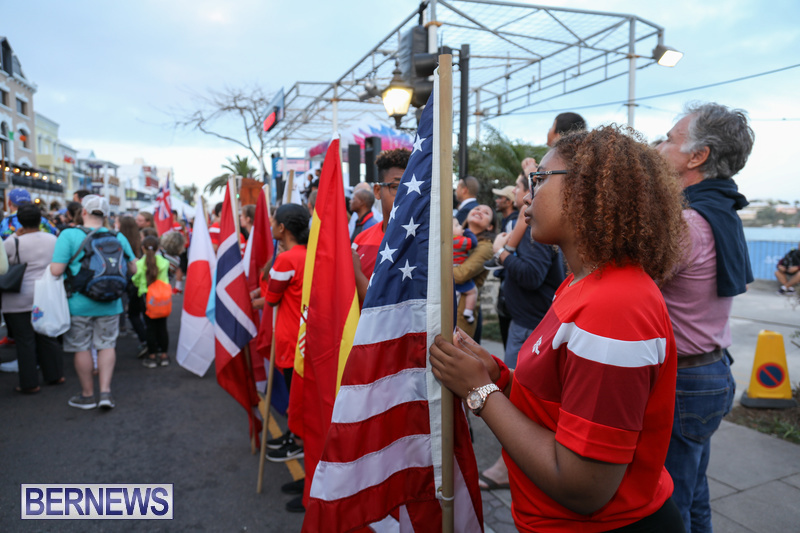 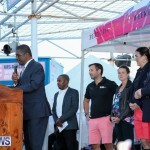 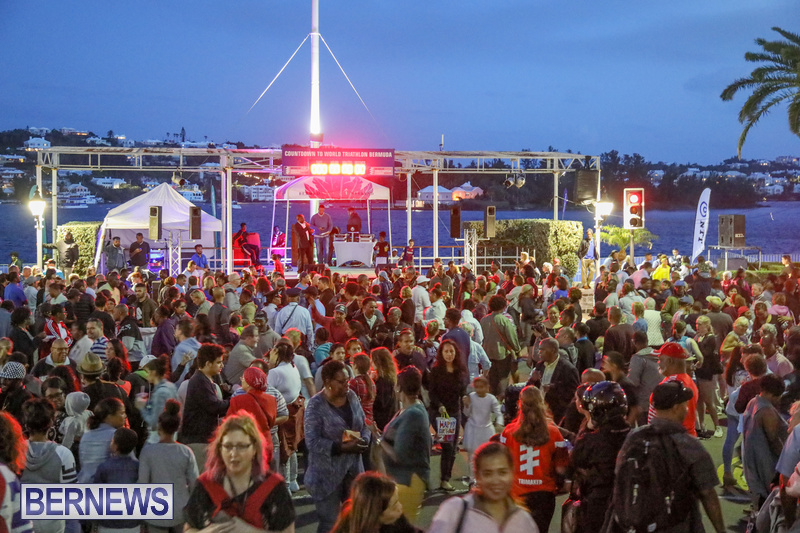 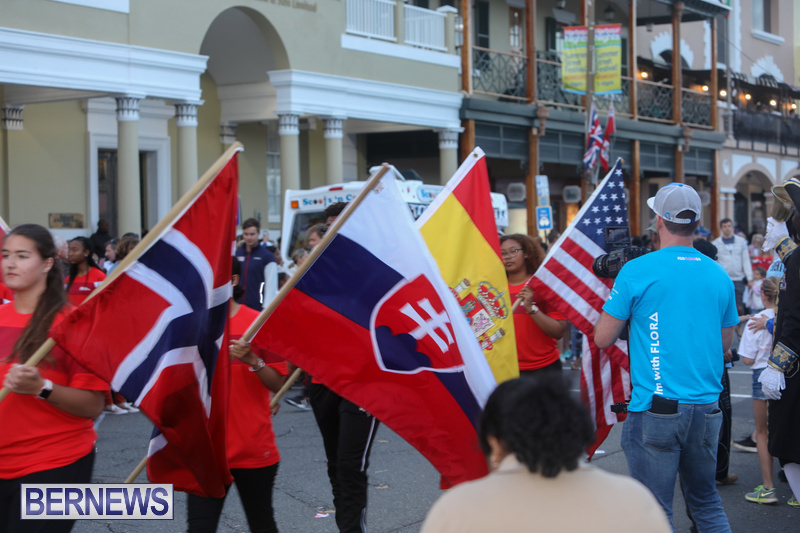 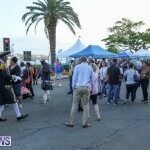 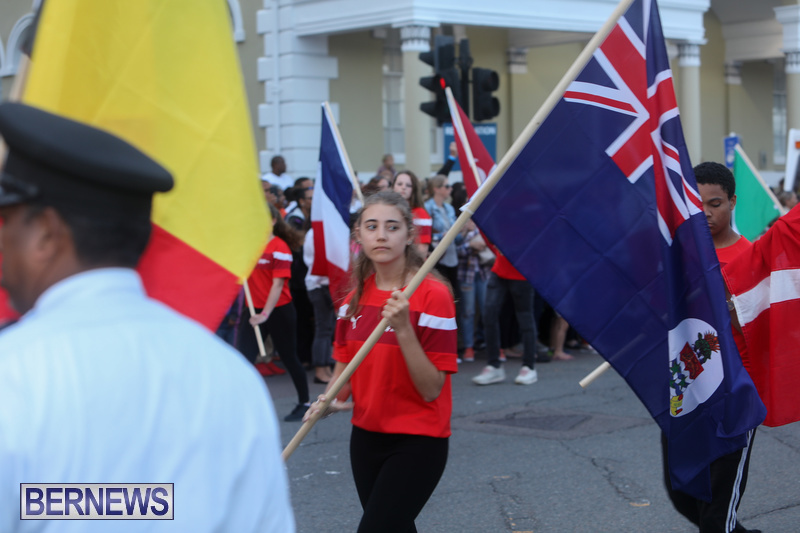 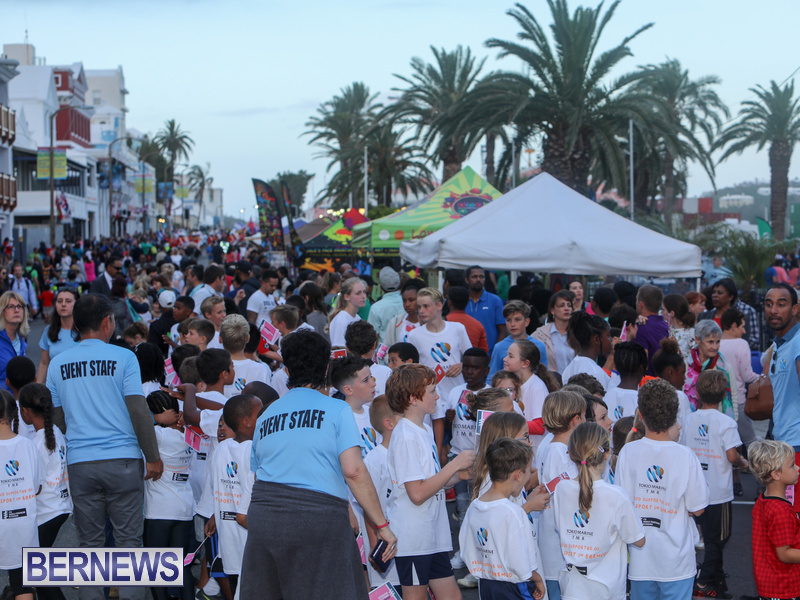 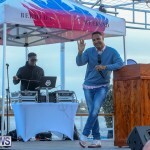 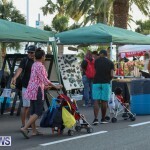 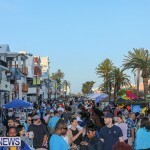 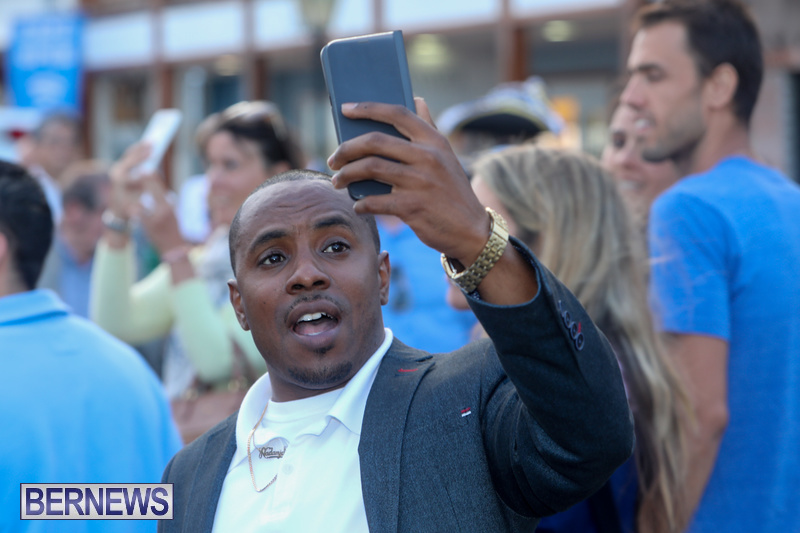 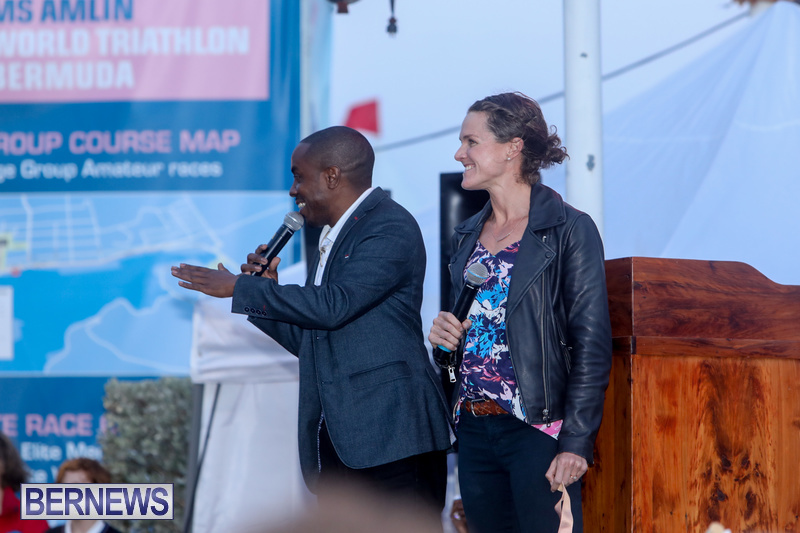 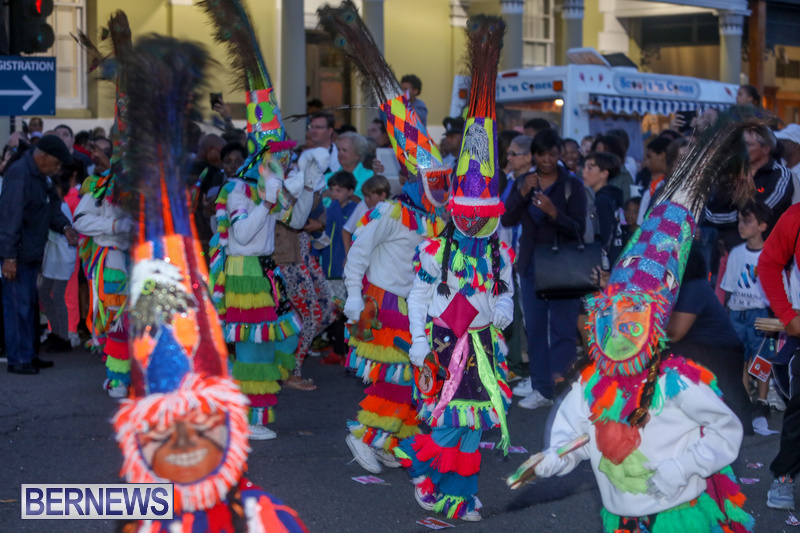 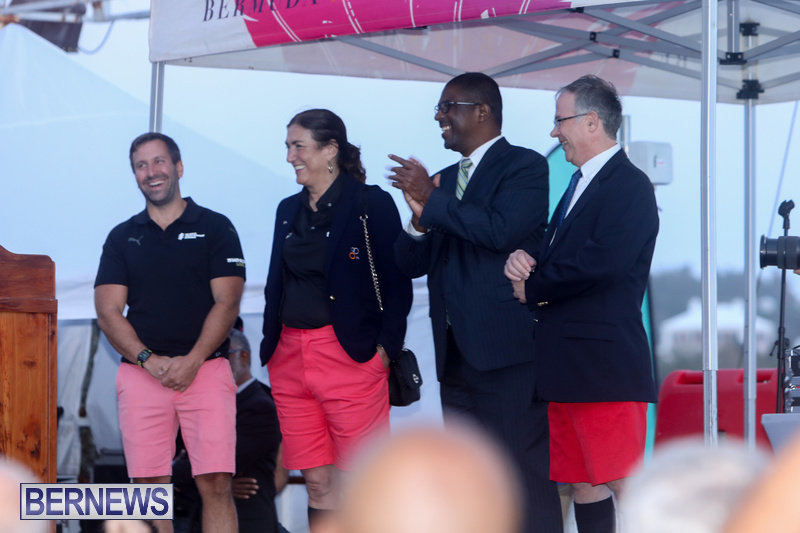 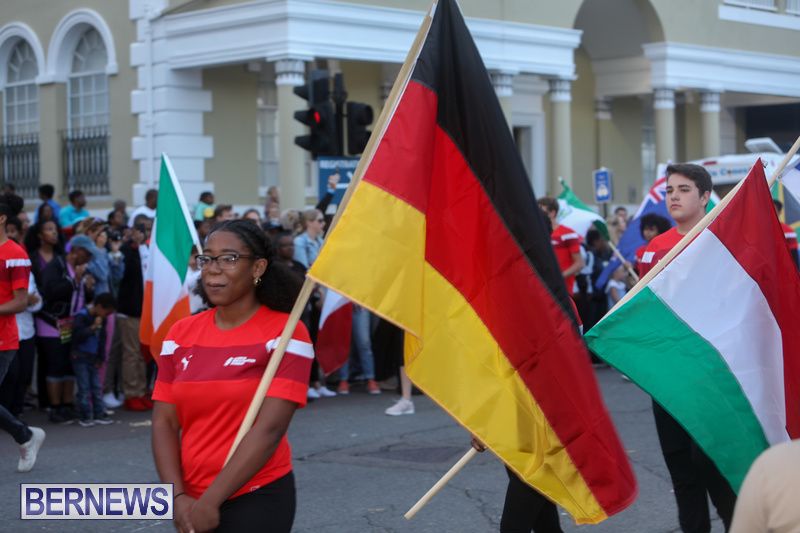 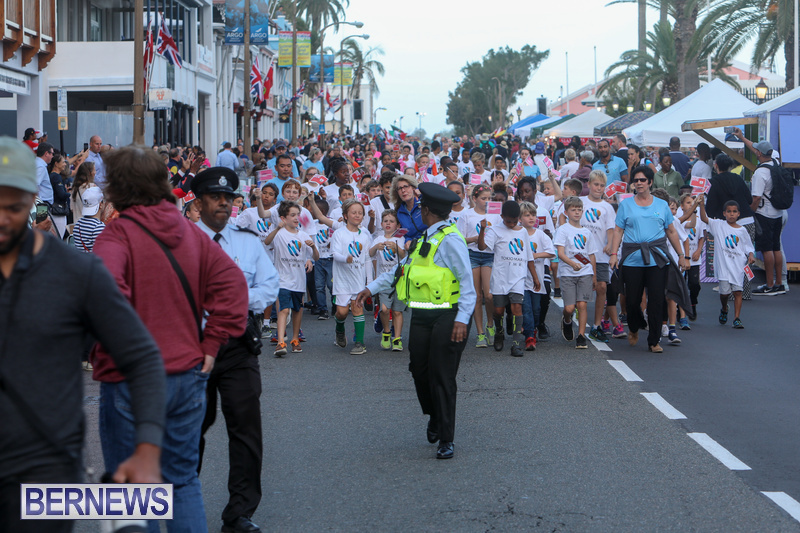 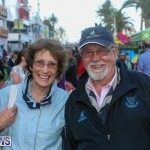 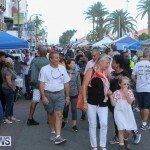 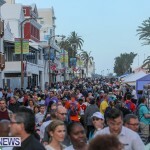 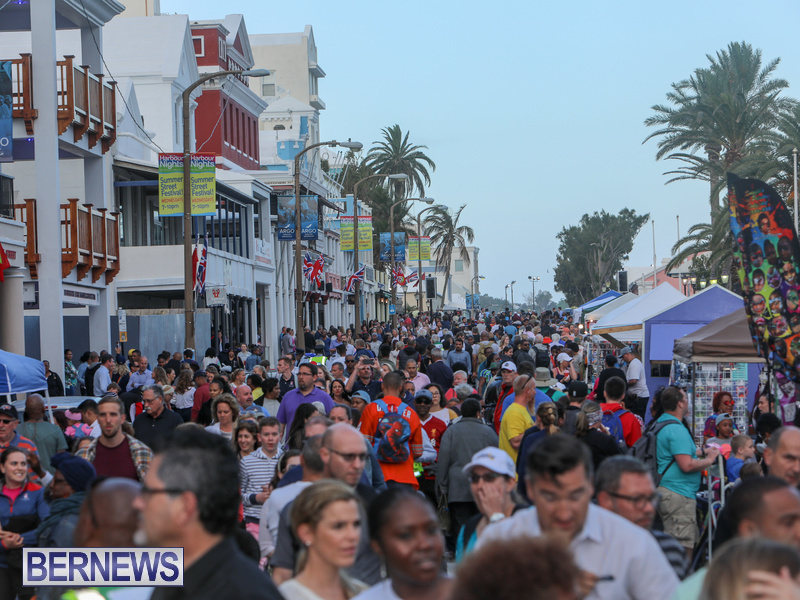 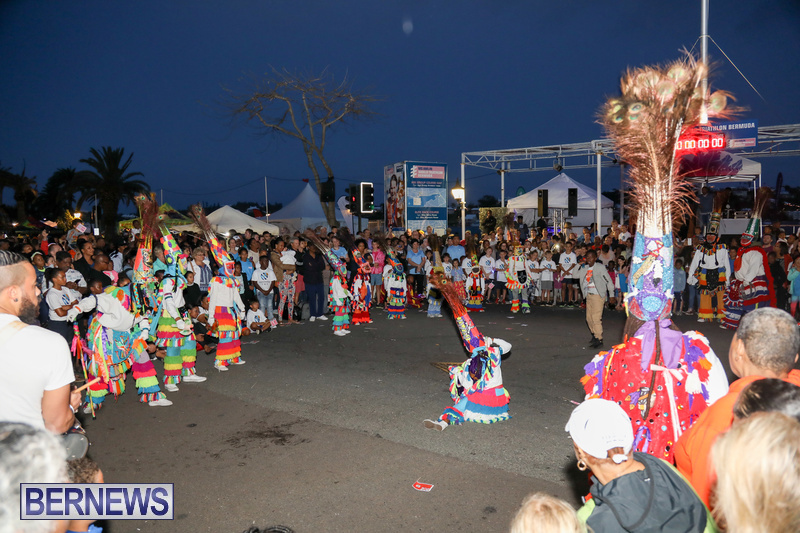 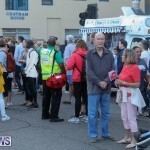 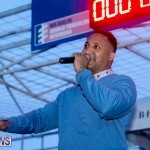 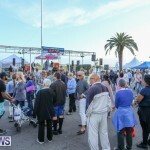 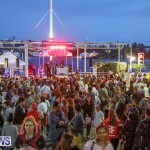 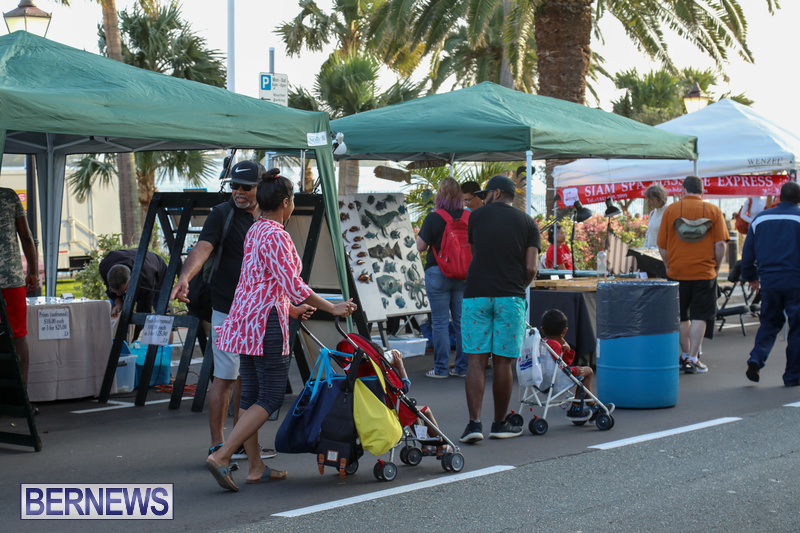 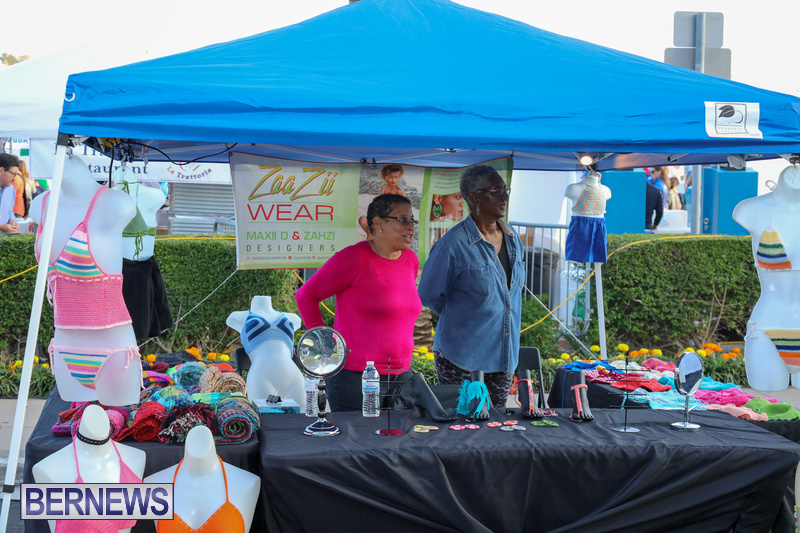 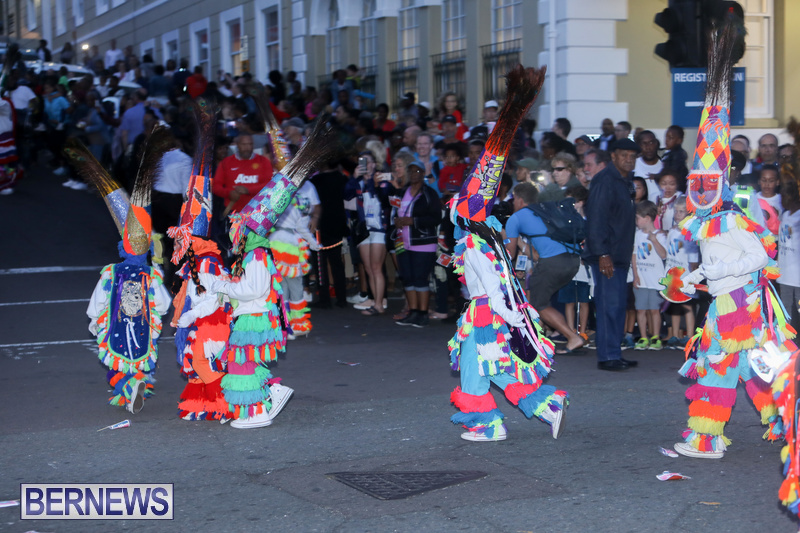 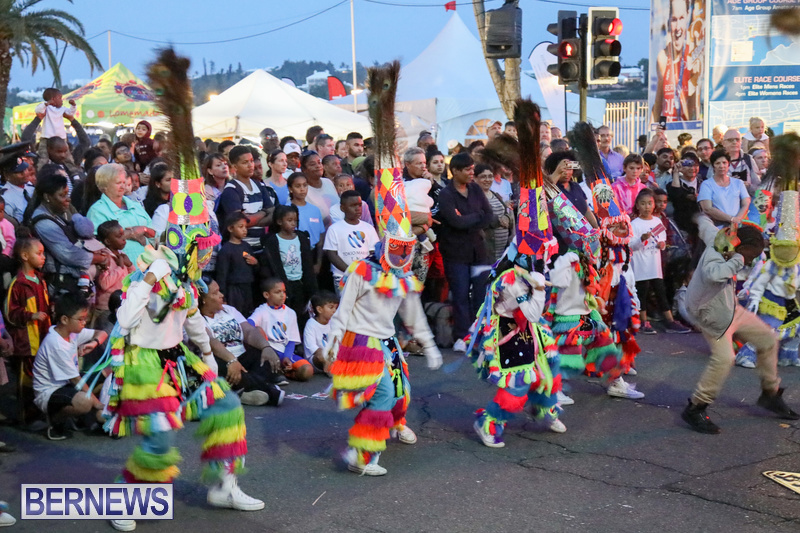 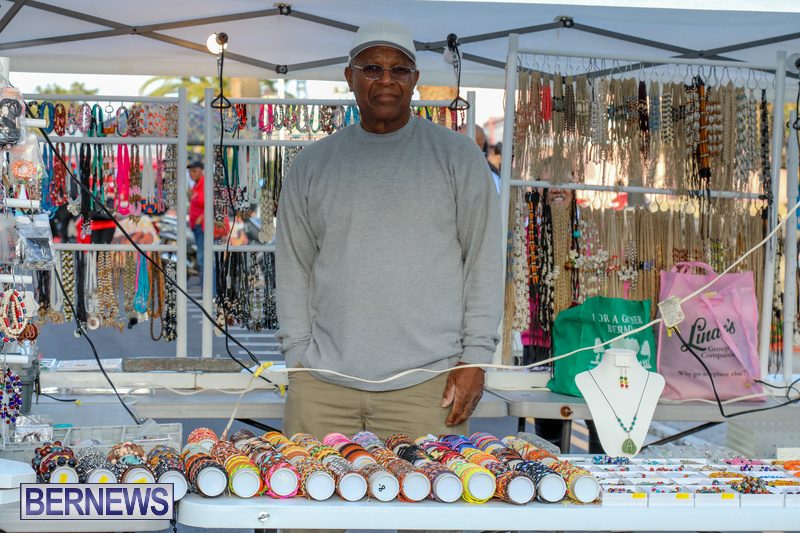 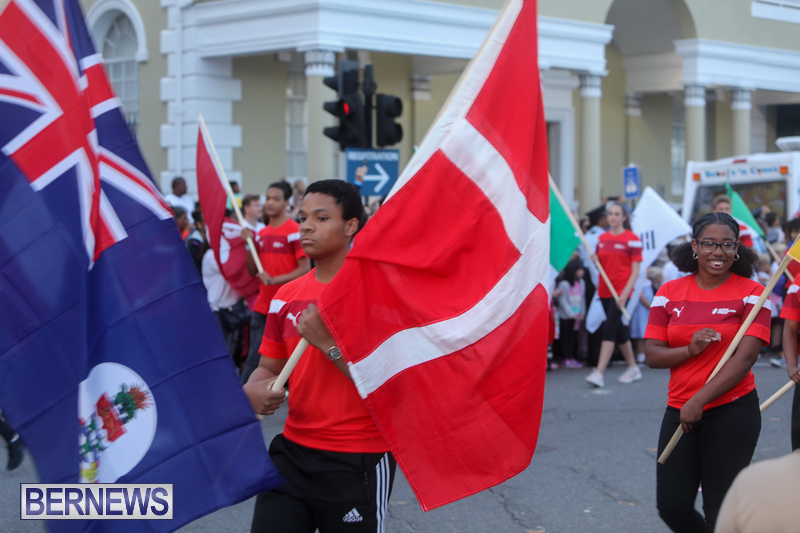 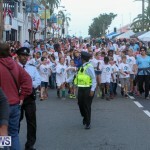 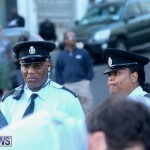 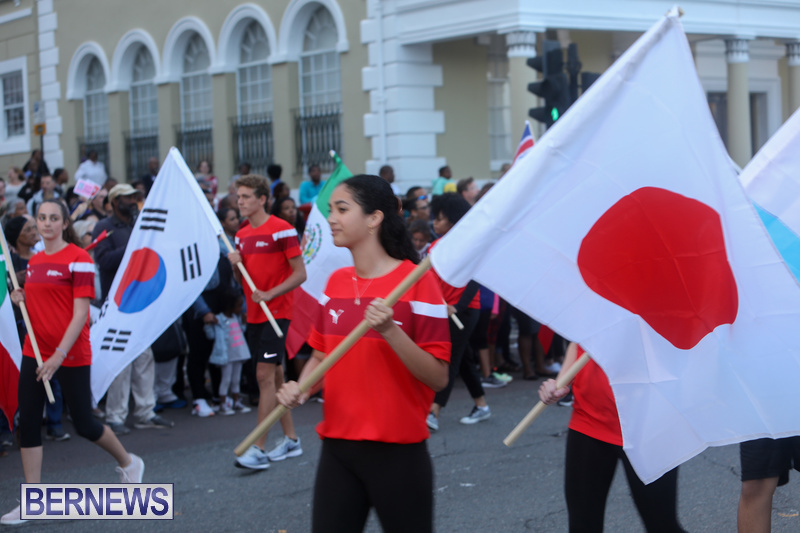 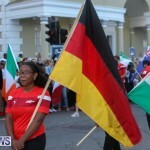 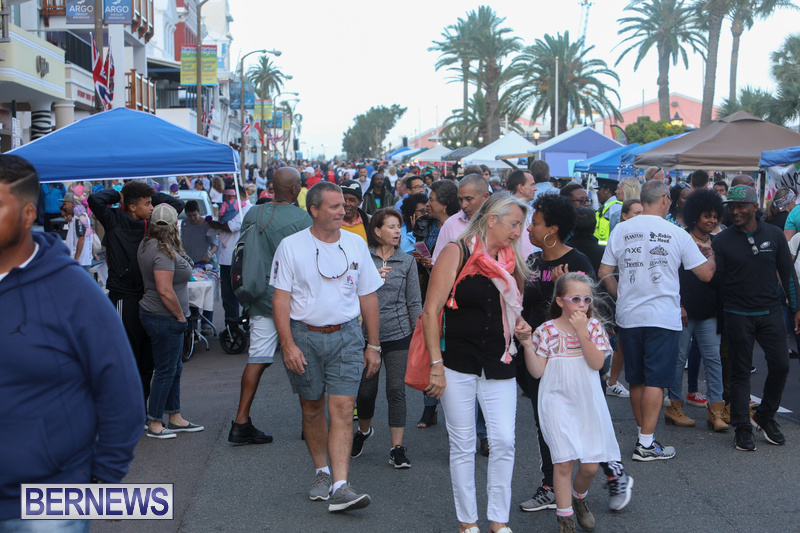 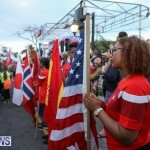 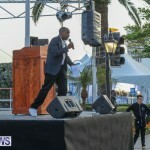 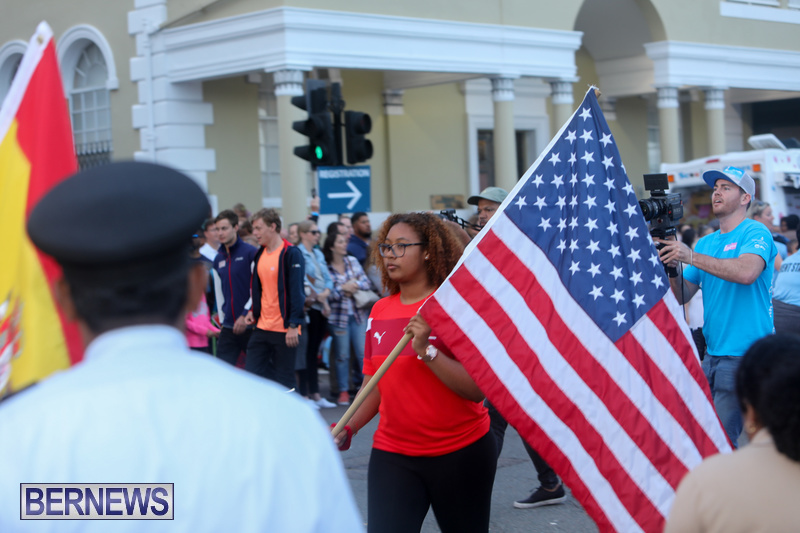 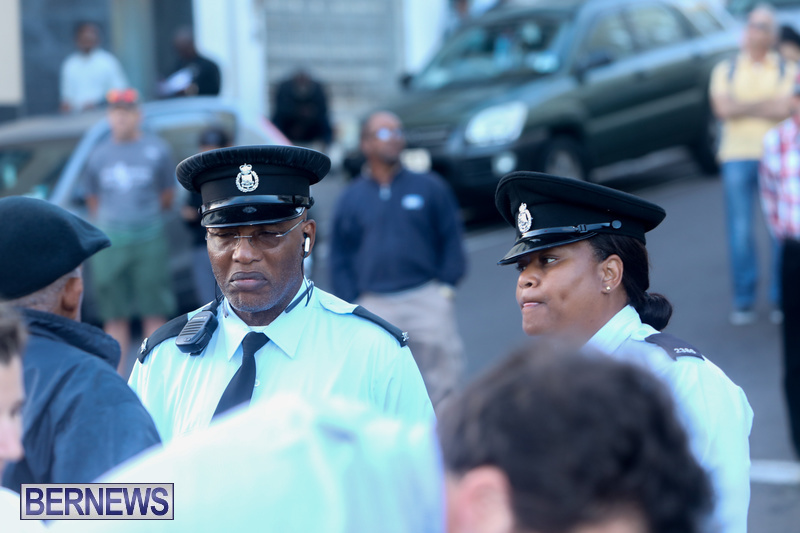 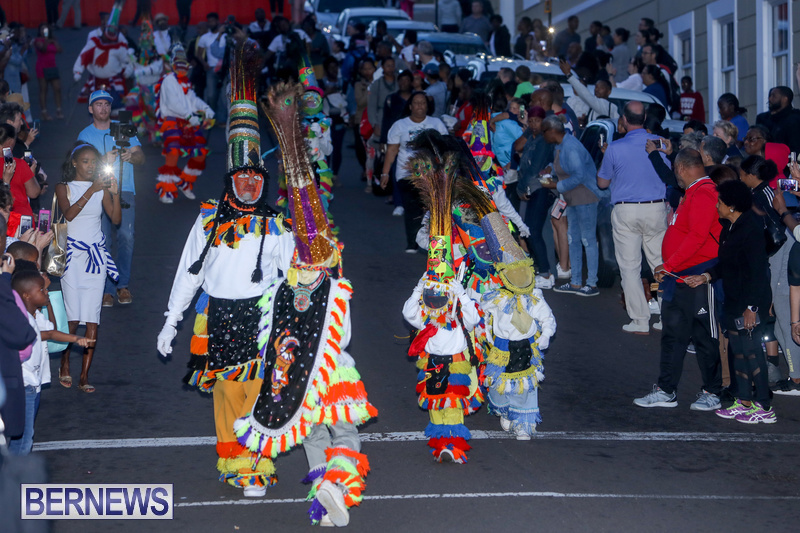 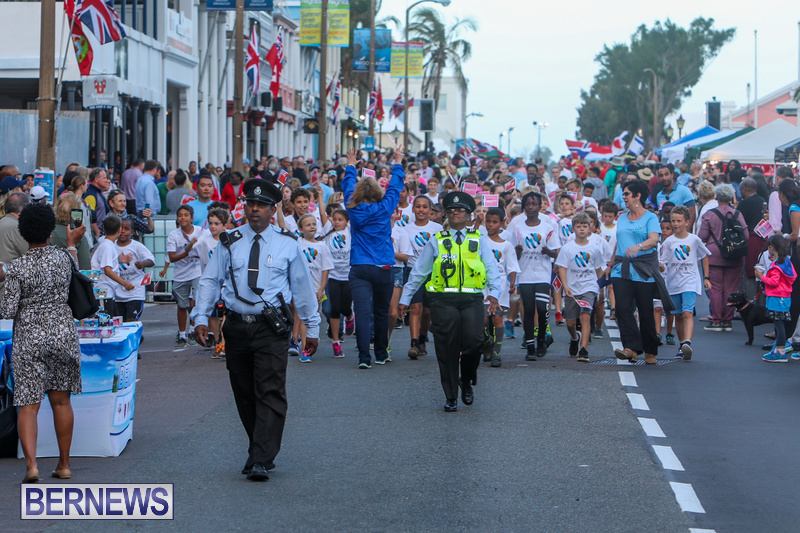 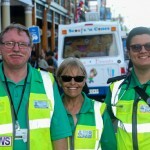 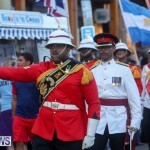 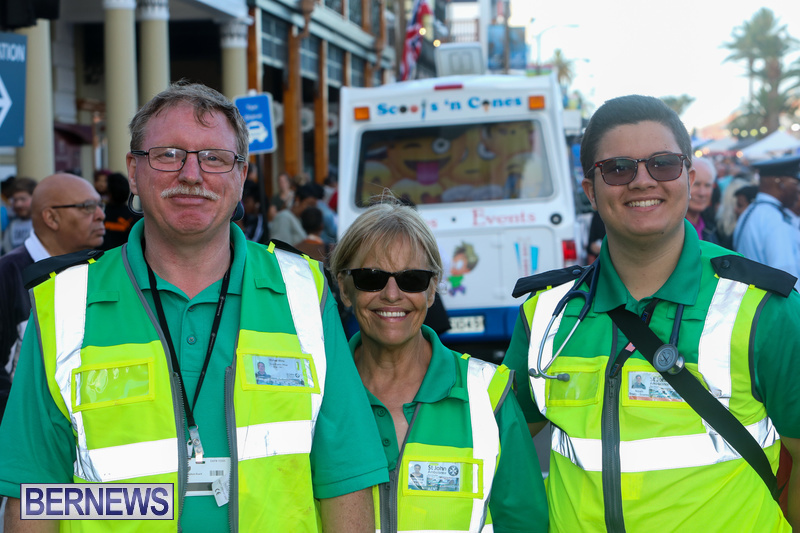 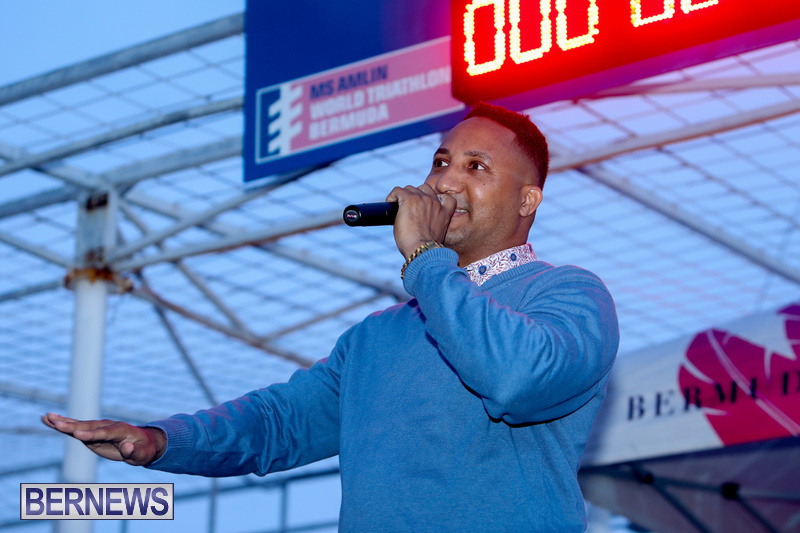 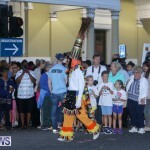 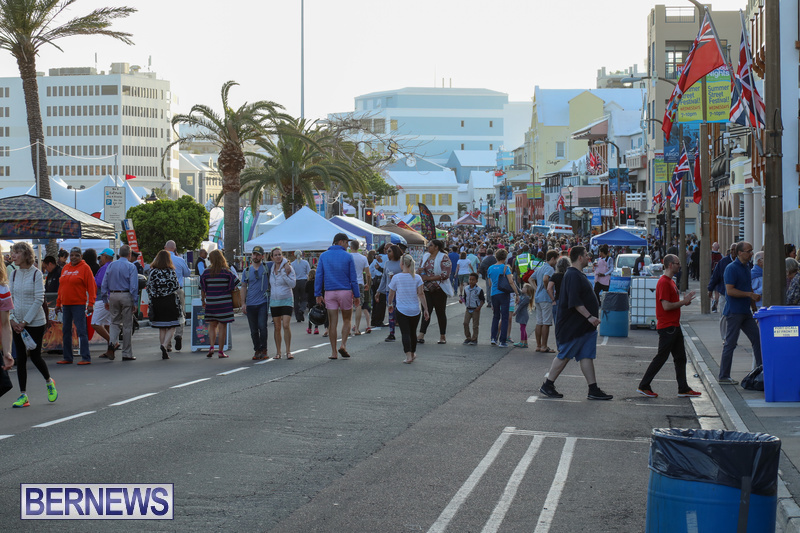 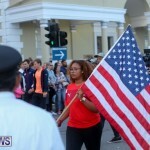 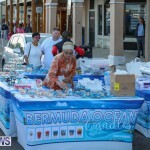 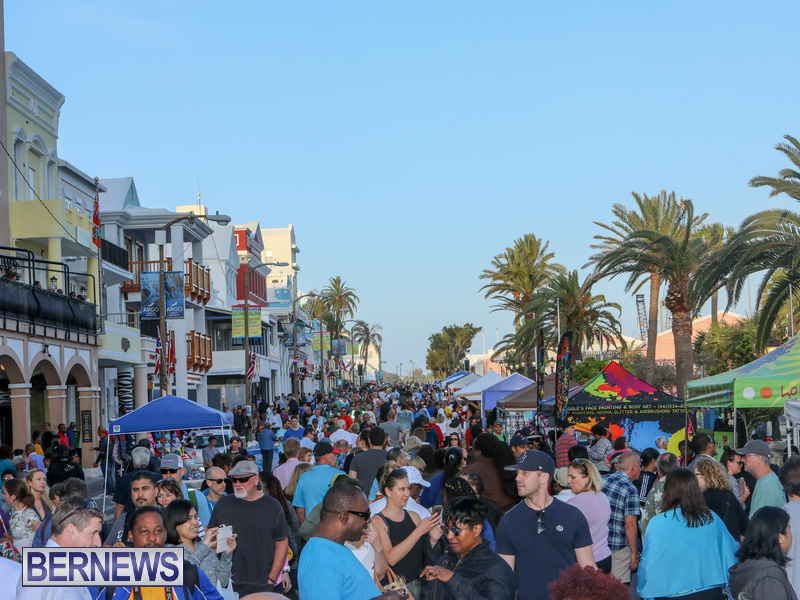 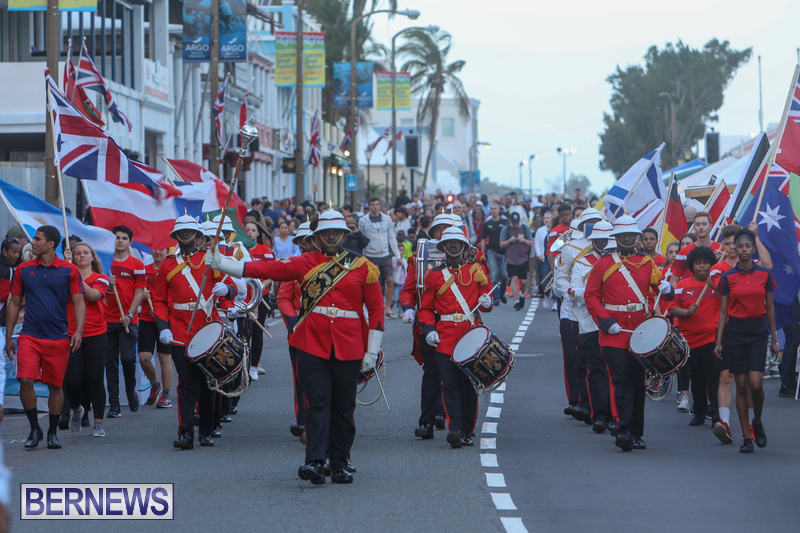 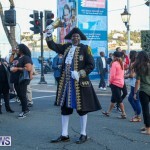 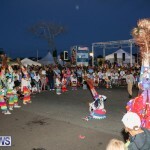 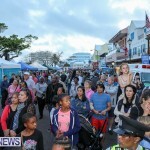 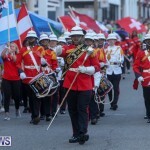 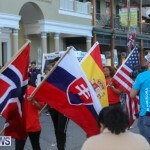 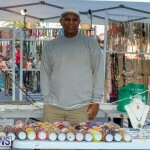 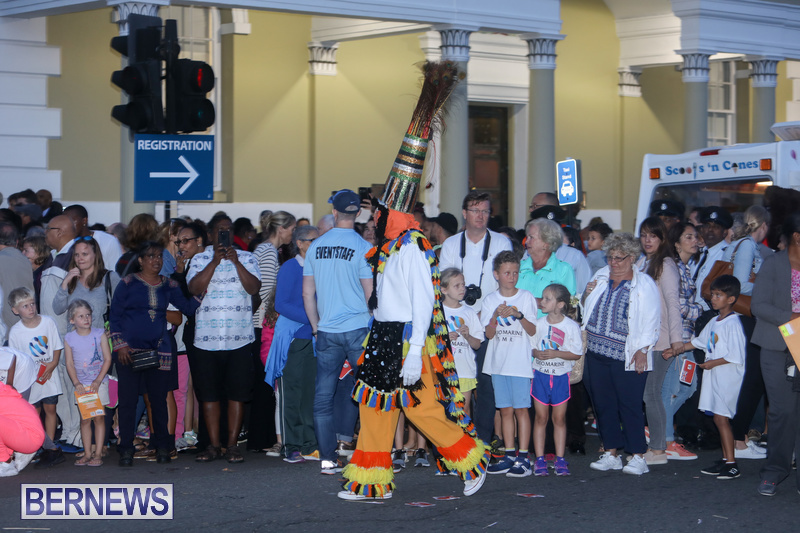 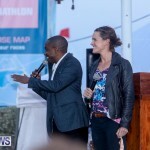 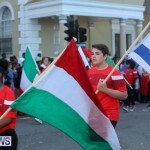 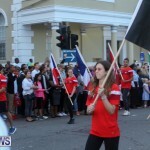 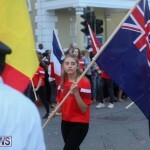 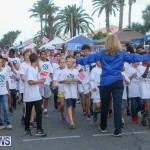 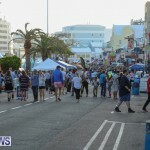 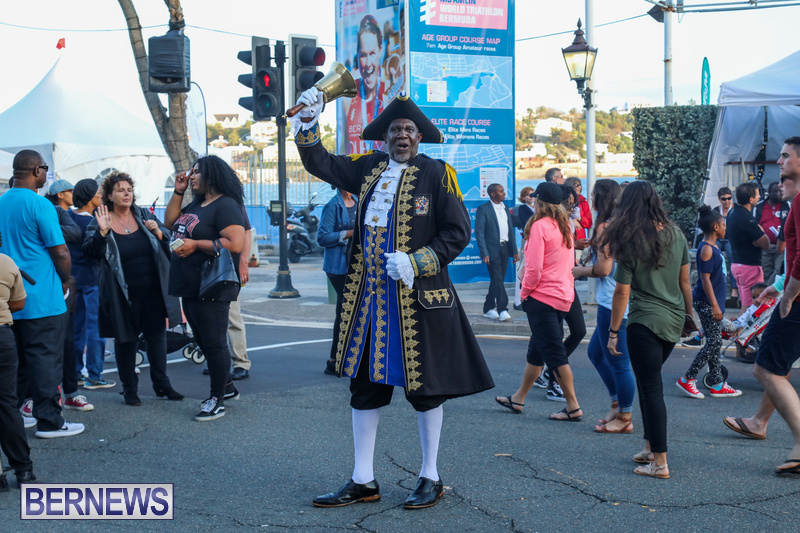 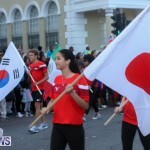 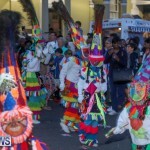 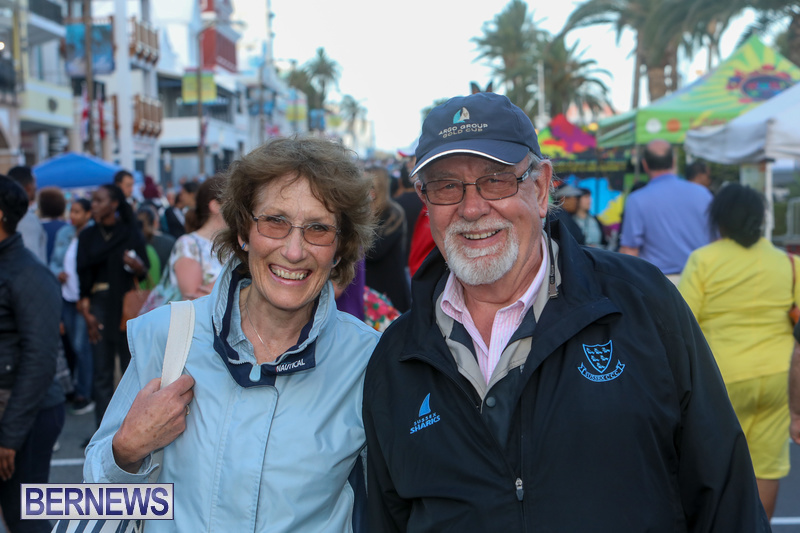 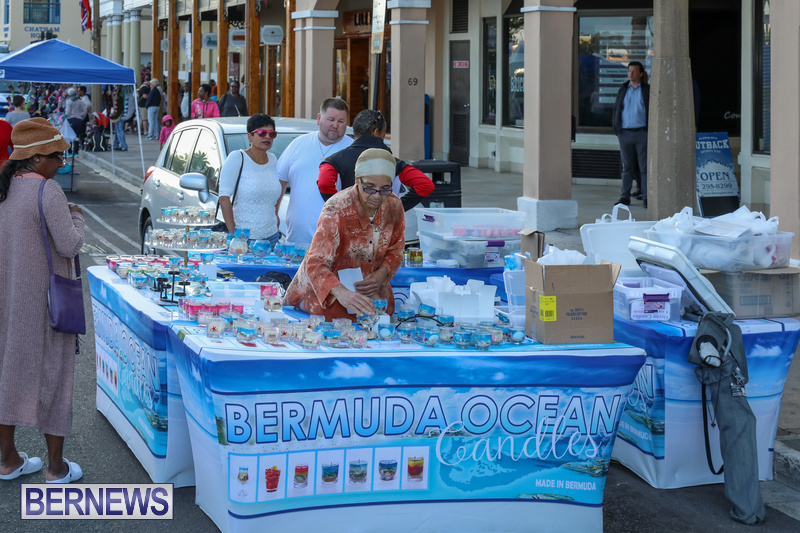 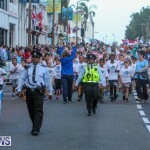 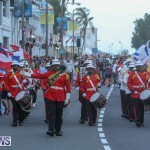 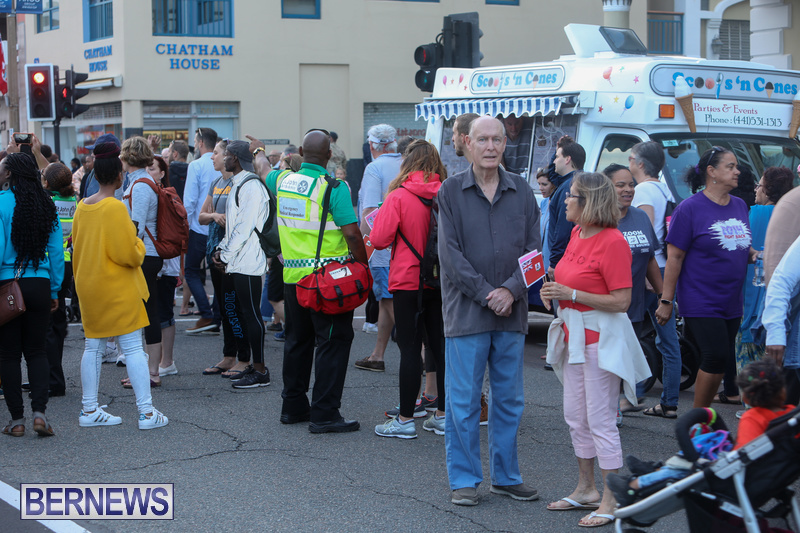 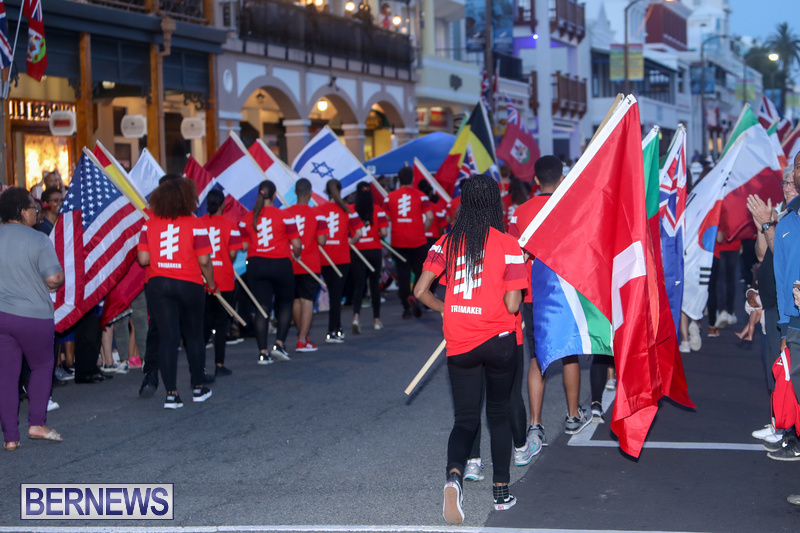 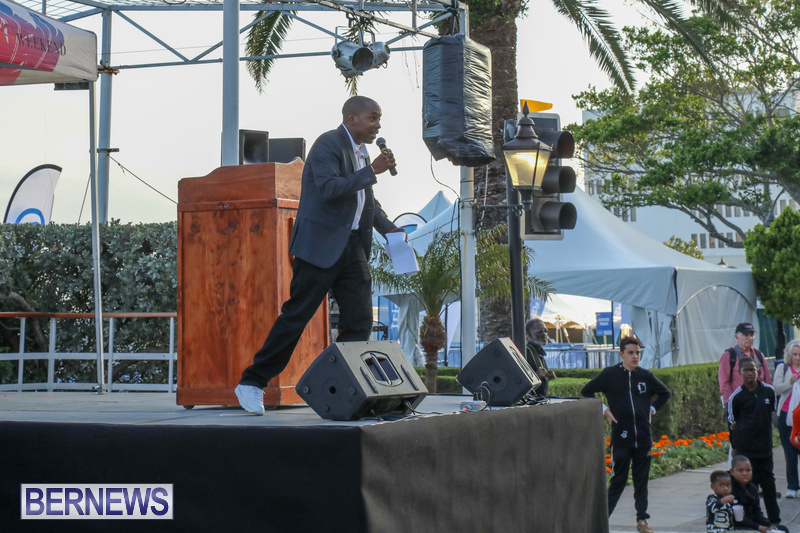 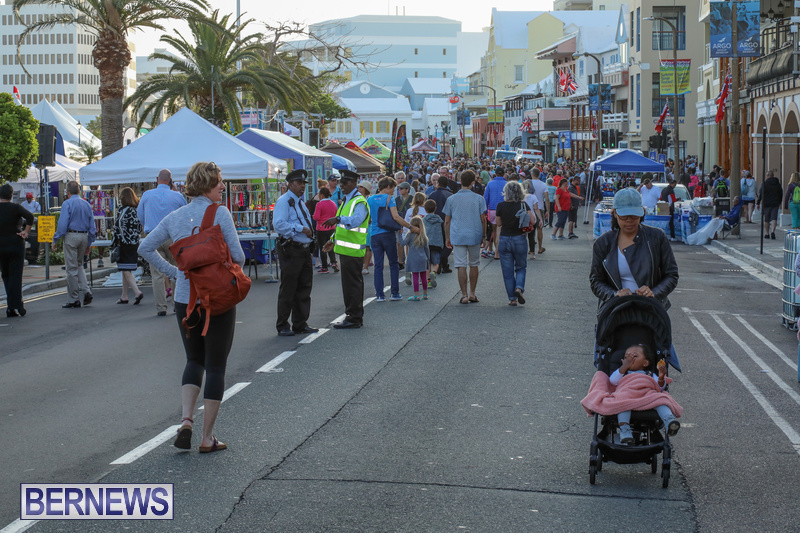 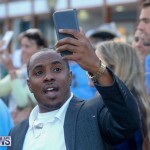 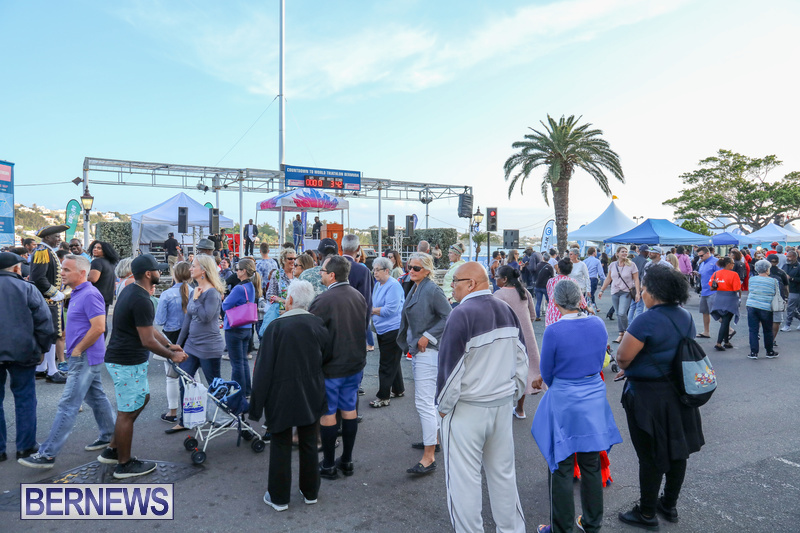 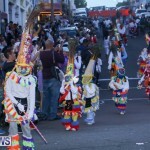 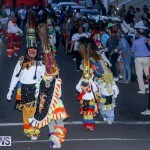 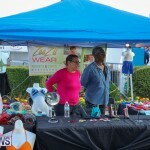 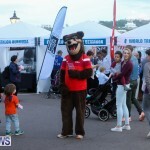 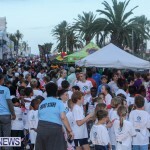 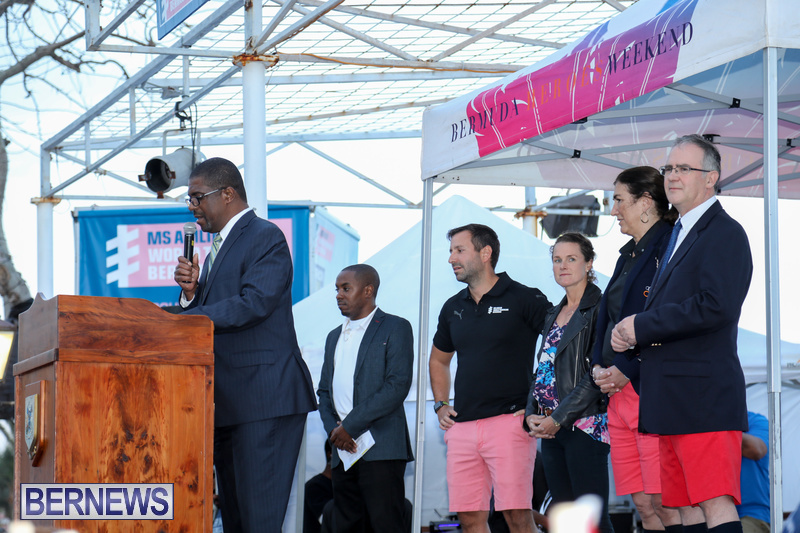 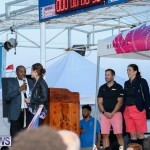 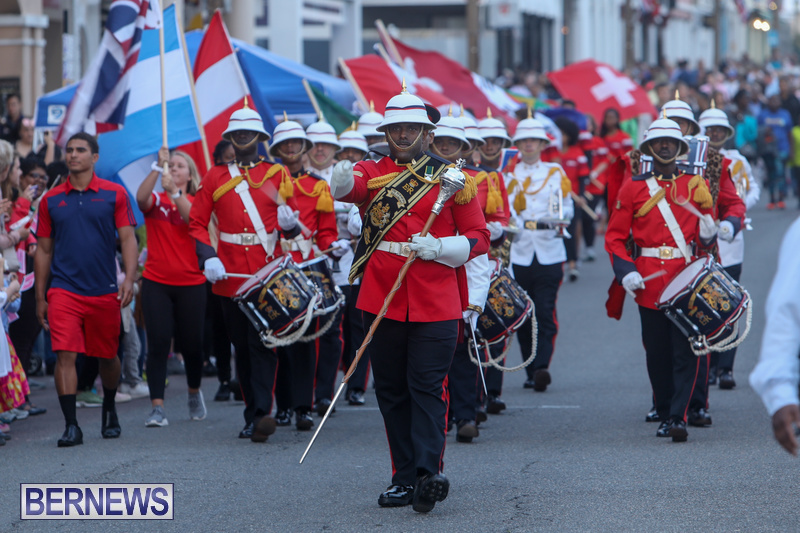 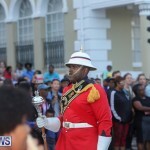 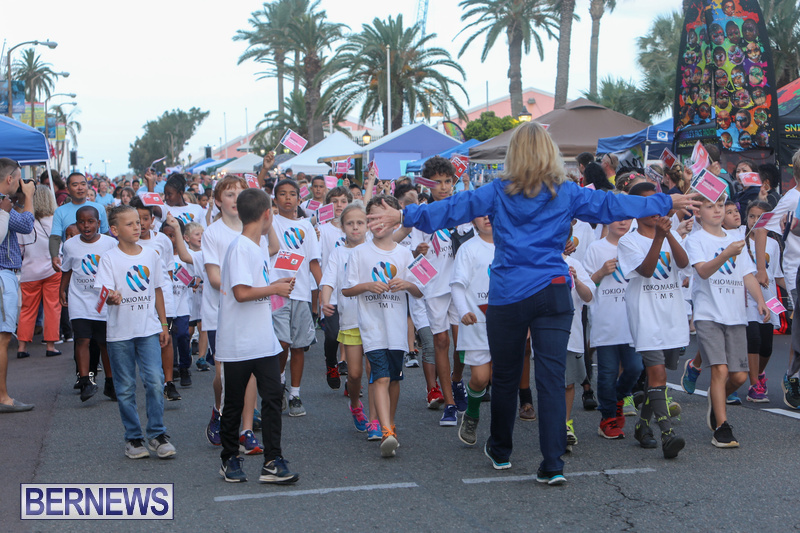 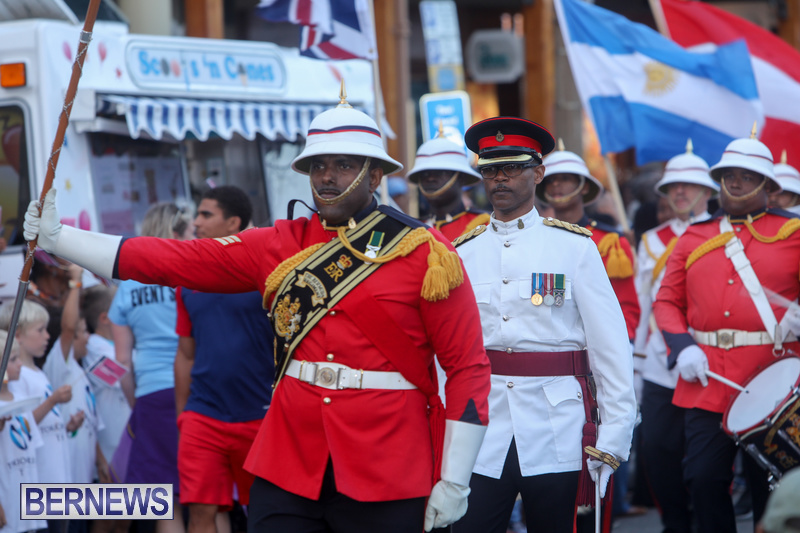 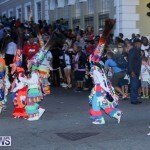 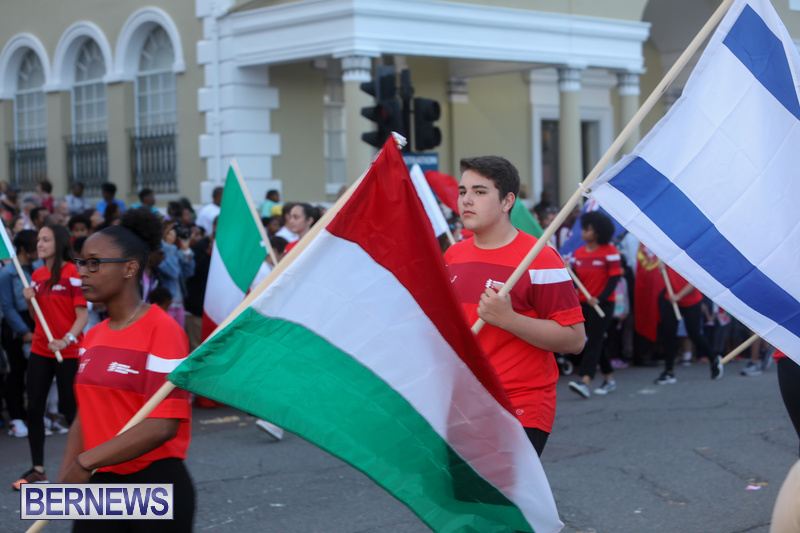 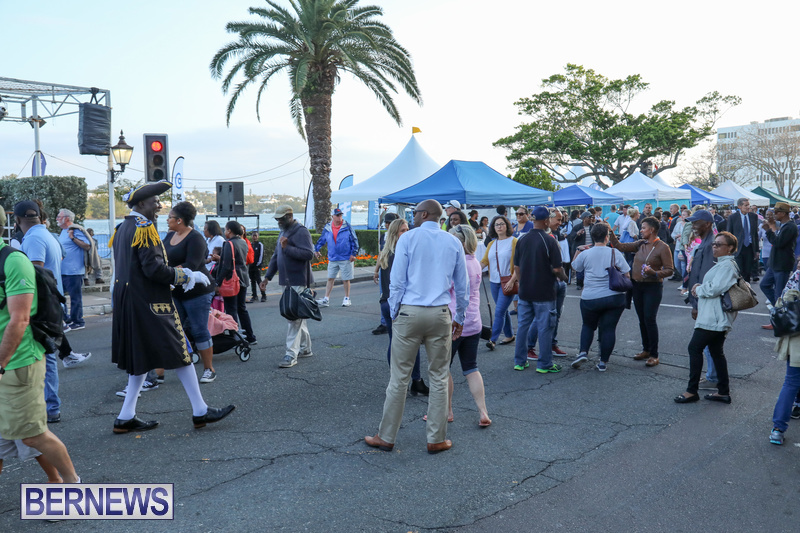 The World Triathlon Festival Weekend Opening Ceremony was held last night [April 26] on Front Street, with children who will race in the TMR Kids duathlon taking part in a short parade to the Flagpole, followed by Royal Bermuda Regiment band, as well as 33 young flag bearers from Bermuda, representing every country competing in Saturday’s World Triathlon. 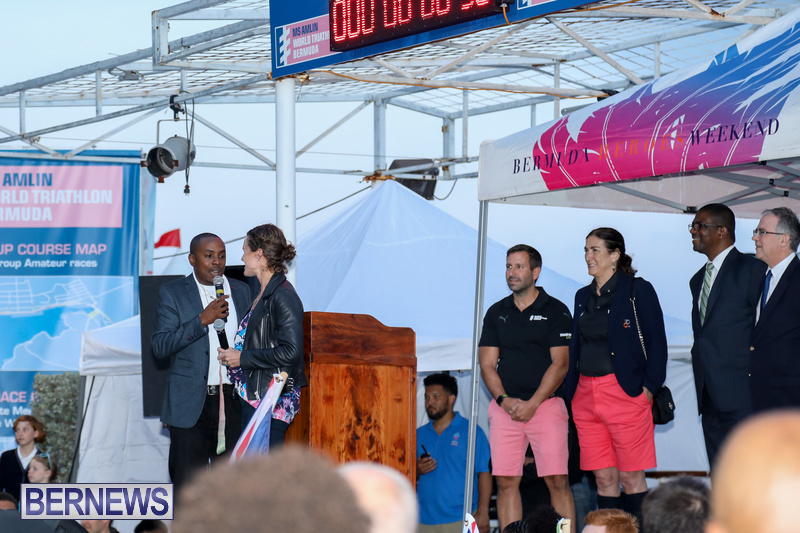 Speakers, including world champion Flora Duffy, then addressed the crowd, before the Gombeys came out to end the night off. 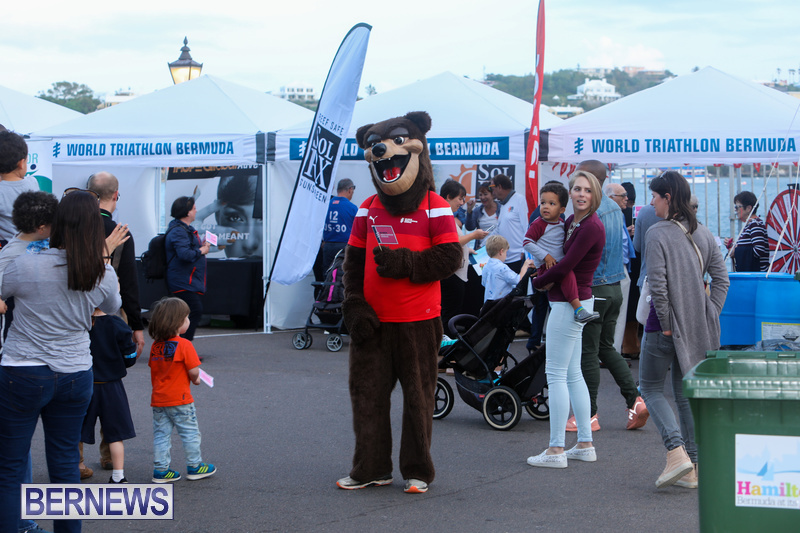 You can view all our coverage of the World Triathlon Festival Weekend here, and our ongoing live updates here.